This piece originally appeared 1/30/18. We bumped it up today because the game is out. Gorgeous contemporary recreation of a true classic that makes welcome tweaks while leaving the core of the experience untouched. Robust photo mode. Not much, although I still don't know what these collectibles do. Finished the game on Normal (9 hours, but I already knew how to solve many of the challenges), experimented with other modes. Once you reach a colossus, the battles, too, can begin as slow, contemplative experiences. You have to observe your environment and figure out how you might scale these massive beasts. Some of them walk slowly, ignoring you or regarding you with a detached skepticism. Some soar through the skies and must be pestered into even noticing your tiny form on the ground below. A couple of them, later in the game, will actually attack you, but in most cases you’re simply left alone to look at the colossus and think. The tweaks made to the game’s control scheme are most welcome in these do-or-die situations. You can hold onto R2 (the comfortable analog trigger) to hang on, instead of holding the less comfortable R1 as in the original. Jump is mapped to the more natural X instead of triangle. If you want the original mapping, that’s available too. As the game goes on, maybe you start to feel not so great about what you’re seeing transpire. These colossi don’t seem to be hurting anyone; in fact, many of them are thoroughly uninterested in you and seem only to be acting in self-defense. And there seems to be an ever-present sense of doom pervading the game. It all seems sad, not triumphant. When I started playing this game in 2005, I believed in the essential goodness, in the pure-heartedness, of the protagonist. I believed that what we were doing in games was the right thing to do, that the moral calculus had already been worked out and we didn’t really need to consider that. Shadow of the Colossus gave us a game that appeared to begin as a hero’s journey, but slowly revealed itself to be a tragic tale of self-destruction in which we were complicit. In 2018, I think we approach the games we play more skeptically, and game stories are more ready to explore that ambiguity. 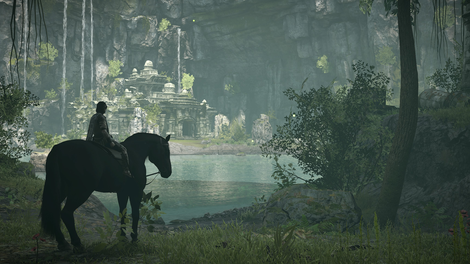 Shadow of the Colossus was, for many, the game that caused that shift in view. 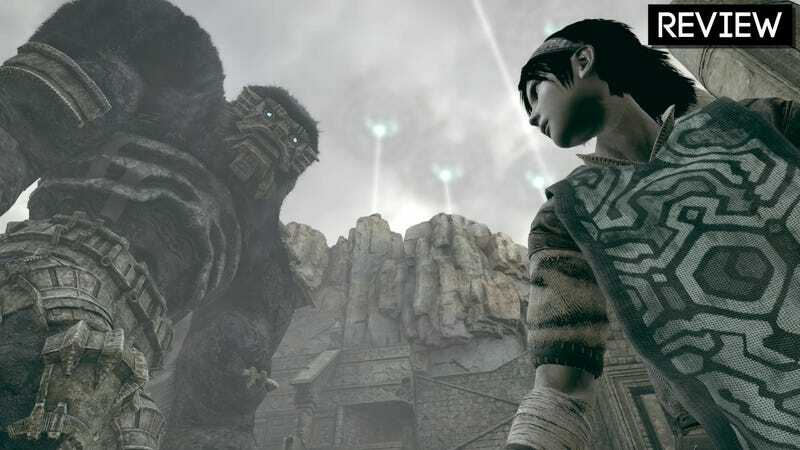 To play it again after a 12-year gap and with more of an inherent appreciation for its fundamental tragedy, it’s funny how much Shadow of the Colossus feels like a 2018 game, not one from 2005.